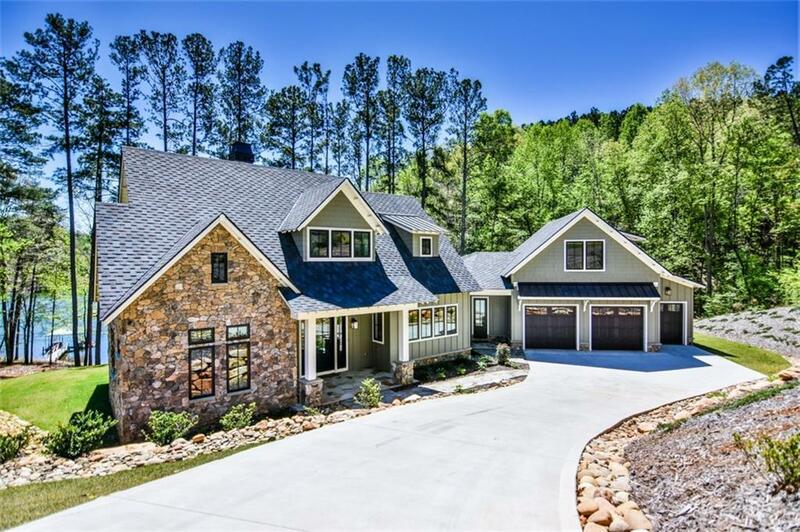 This elegant, modern-farmhouse inspired Lake Keowee Waterfront Home has many great features throughout. Situated in the Crescent Community of Waterside Crossing, this custom home offers 3 bedrooms and 3.5 baths. The Gourmet Kitchen offers custom shaker designed cabinetry, Carrara Marble countertops, Thermador appliances (Thermador SS range, hood, refrigerator with cabinet panels and dishwasher), and a center island thatâs perfect for entertaining. The spacious main level master suite offers cathedral ceilings, a walk in closet with built-ins, as well as an exceptional luxury bathroom that includes double vanities with Fantini faucets, a Jacuzzi tub as well as an oversized walk in carrara marbled shower. Upstairs offers two additional en-suites with one having its own, private balcony overlooking Lake Keowee. If you need some additional space, there is a bonus room over the garage that is roughed in and ready for expansion. Upon entry you will notice the attention to detail throughout this lovely home. From the shiplap walls to the 7â White Oak Hardwood Floors no expense was spared. Being offered fully furnished, come out and enjoy all the luxuries this incredible home has to offer.